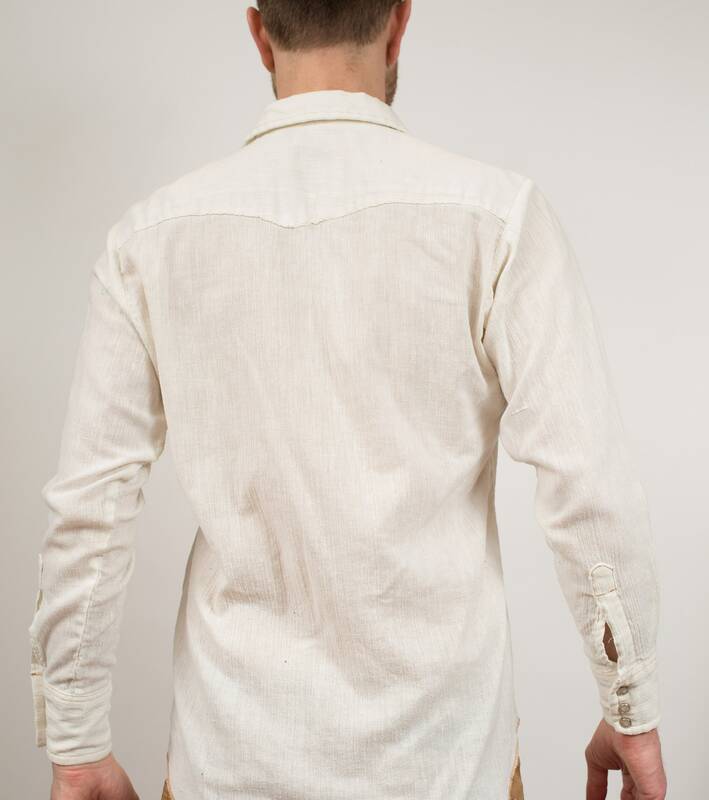 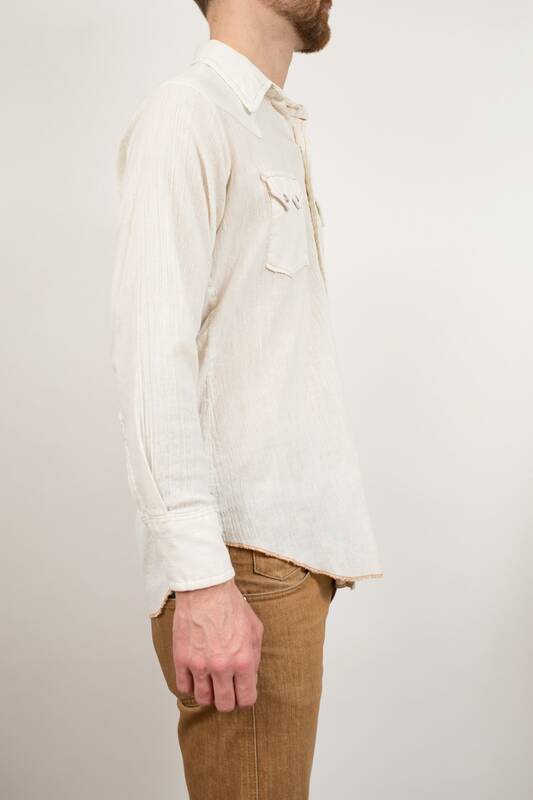 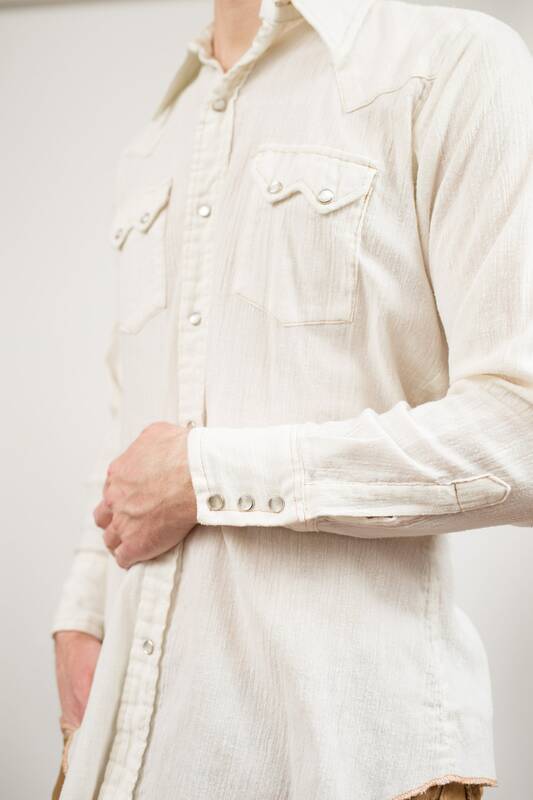 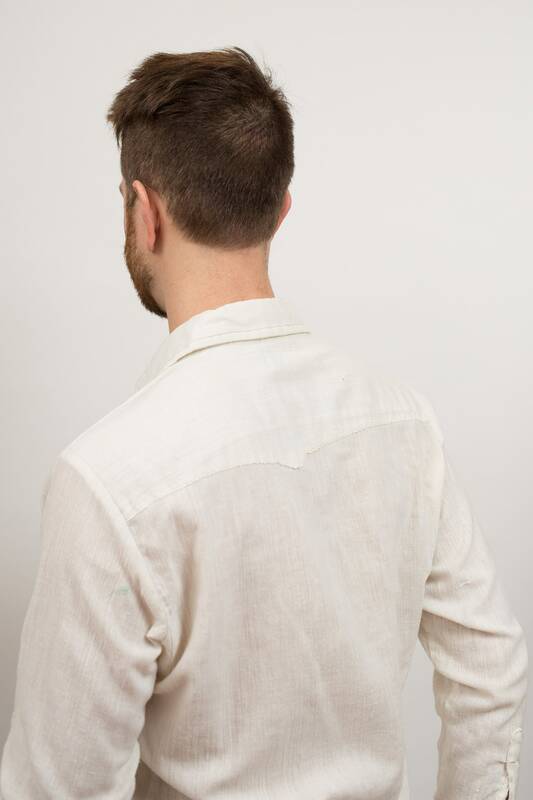 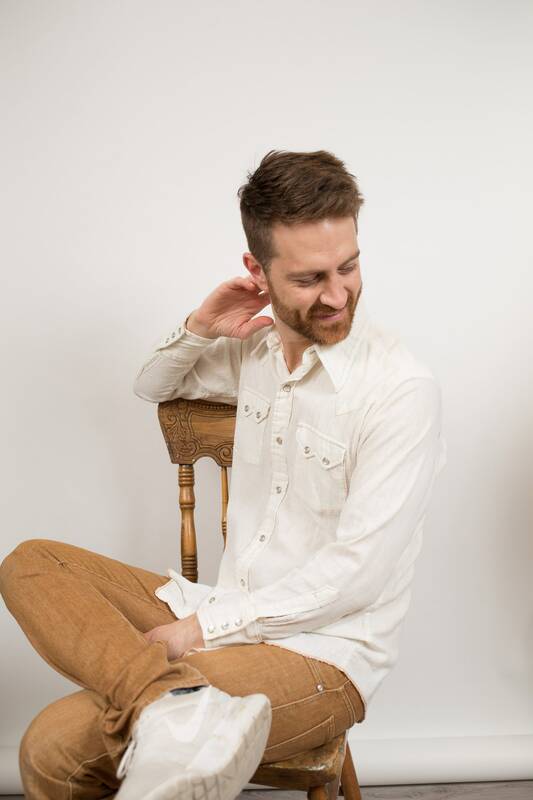 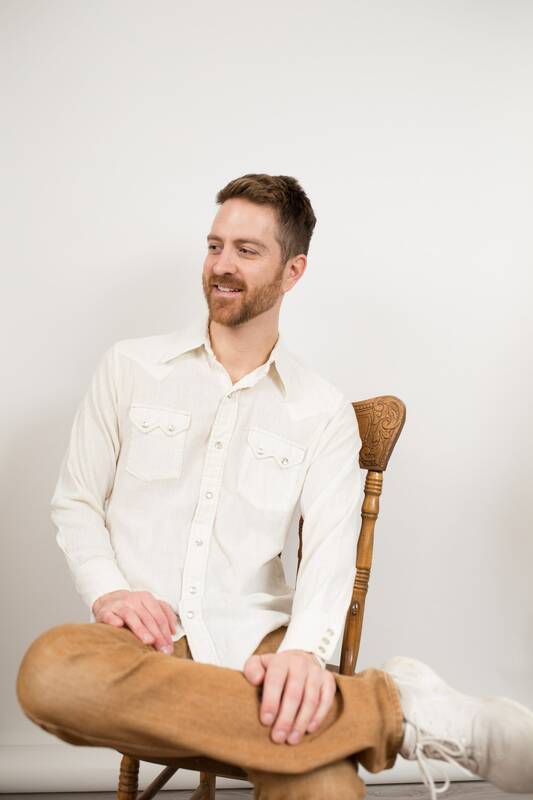 This is a classic bone white western shirt with brown threading and pointed chest pockets and snap buttons. 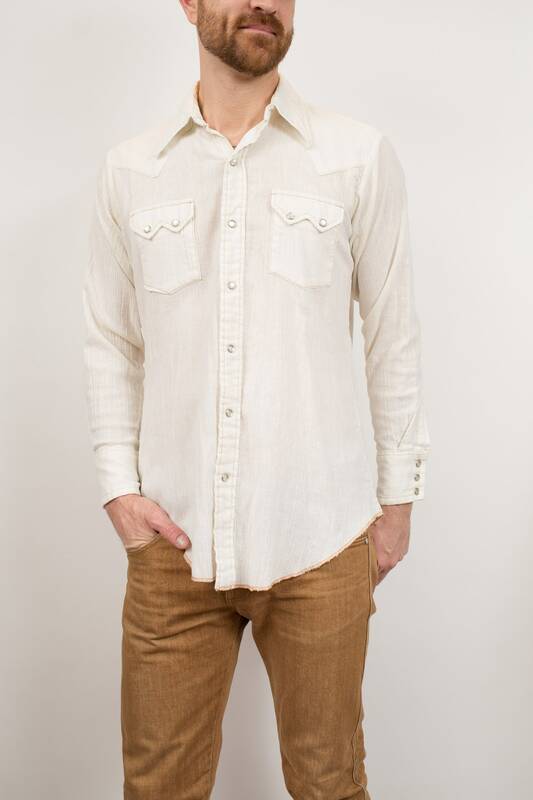 Brand: Washington Dee -Cee Western Wear. 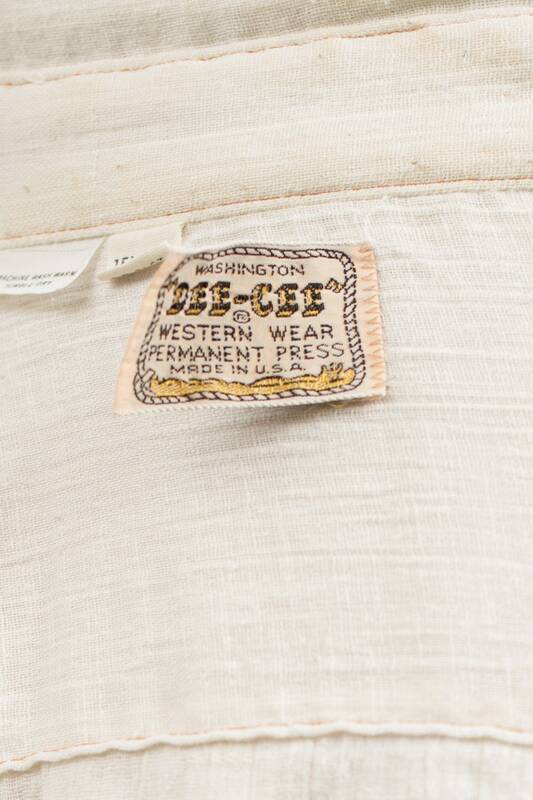 Size: tag reads 15.5 - 33. 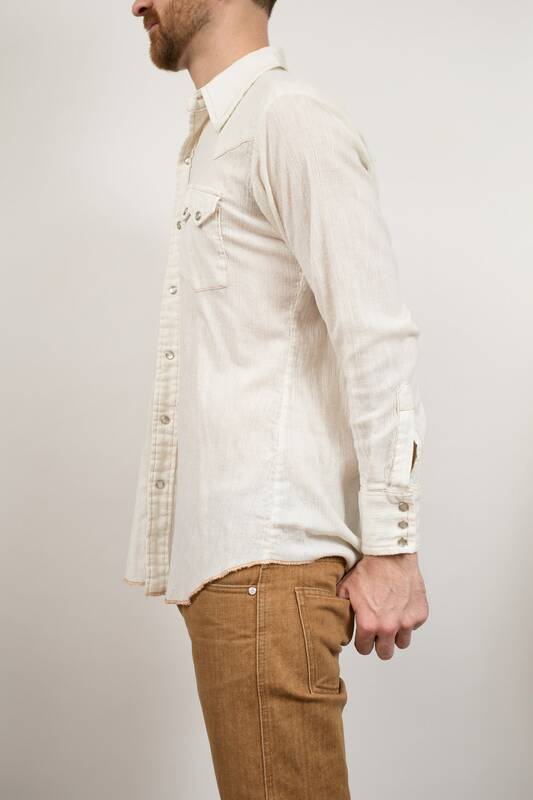 Fits Like: fitted medium (model wears medium, is 5'11, 160lbs).